As if the string of the world was just being pulled, the huge figure slowly rotated in the sky, but no one could see it clearly through the spiral burr. Hua Huo couldn’t see it. The Starwing Knights girls couldn’t see it. The tutors of the Sword Palace couldn’t see it, and not even the master of the White Lotus Sword Domain, who had reached the sixth rank. Only two people vaguely saw a part of the secret treasure’s true appearance. “Oh, the White Lotus Secret Treasure looks like this!” Casina comfortably stretched out herself and had little interest in seizing it. She had found her way a long time ago. Only after defeating everything, could she reach the summit of her Battle God Genre. The White Lotus Secret Treasure was actually useless to her, because she had reached the legend rank. Just like people couldn’t step into the same river two times, she couldn’t use it to reach the legend rank again. “Hum… how can it be…” Naturally, the other person who could see the secret treasure was Yun Xi. However, the secret treasure didn’t look like what he had guessed. Is it really something Hua Huo wants? When the 13th sound disappeared, the spiral burr in the sky started to shrink. In the blink of an eye, the huge figure vanished in the air. The disciples talked with each other in high spirits. Just now, they enjoyed the weakened but free service of the blessing of the secret treasure, how couldn’t they feel lucky? They just witnessed a legend and obtained a great benefit from it! Although none of them could see the real appearance of the secret treasure, it was already a great benefit for them to hear the sounds. However, after talking with each other, they found that different people heard a different number of the sounds. The more talented they were, the more sounds they could hear. The weakest disciples of the Sword Palace could be considered as a super genius in the towns they were born in. Even the weakest disciples heard the sounds three times. Quickly, they figured out the rule. The more times you heard the sounds, the greater your talent was. Even dogs and cats could hear one sound, and ordinary people could hear two sounds. The more sounds a person could hear, the higher achievement the person could obtain in the future. Wang Qi was the only top ten disciple who said the number of the sounds he had heard in front of everyone. He heard seven sounds, and this was the highest record all disciples had known. When he said it, everyone looked at him with envy. Apart from Wang Qi, the highest record was heard six sounds. Most disciples who heard three sounds were newbies who just arrived at the Sword Palace. The people who heard four sounds were the elite disciples of the Sword Palace. A lot of them were at the third rank. Only the top 100 disciples heard five sounds, and the disciples at this level were all confident of entering the hero rank themselves. Hearing six sounds was a dividing line. The strongest person under the hero rank, Zhou Zhen just heard six sounds. He was likely to enter the hero rank 100%. The top ten disciples all heard more than seven sounds. On the whole, only the people who had reached the hero rank could hear seven sounds. “I heard only seven sounds…” The fourth disciple, Qin Su’s hands were trembling. He could barely hold his sword in his hand. He didn’t want to believe that he, the prince who had a great bloodline and god weapon, was at the same level with the ninth disciple, Wang Qi. Amongst all the top ten disciples, only Wang Qi was careless and told everyone the number of the sounds he had heard without thinking. “Seven?” Zhou Zhen looked at the sky with a puzzled expression. He felt that something was wrong with the sounds he just heard, but couldn’t figure it out immediately. 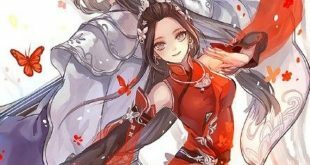 “…” Xia Ling, the princess of the Great Xia Sword Domain looked at the girl in the center of the ring, the “monster” who just awakened the secret treasure. “How many sounds have you heard?” She asked. Shuffle! Shuffle! Everyone looked at Hua Huo intently. Yeah, as the “monster” who caused this, how many sounds had she heard? “Ten.” Hua Huo said straightly. She had decided to show herself in front of everyone, so she wouldn’t lie. Even if she would fight against an entire world, she wouldn’t change her mind. The White Lotus Secret Treasure is mine! So is my Little Xi. I will obtain them both! “Hiss!” Everyone gasped after hearing her words. Most disciples only heard four or five sounds. The ninth disciple, Wang Qi only heard seven sounds. Although Xia Ling didn’t say it, she probably only heard eight sounds. She wasn’t strong enough to crush Wang Qi instantly. Did the White Lotus Secret Treasure really appear for this freshman called Hua Huo? Perhaps her talent was really so great that she could even awaken the legendary secret treasure. However, Yun Xi looked around with confusion under the ring. Is there really a relationship between the sounds a person has heard with the person’s talent? After all, I just heard 13 sounds.